Are you planning to move to another country or currently living outside your country of origen? Here are five common mistakes that could make your experience a lot less pleasant. Avoiding these common mistakes can help you live abroad successfully. 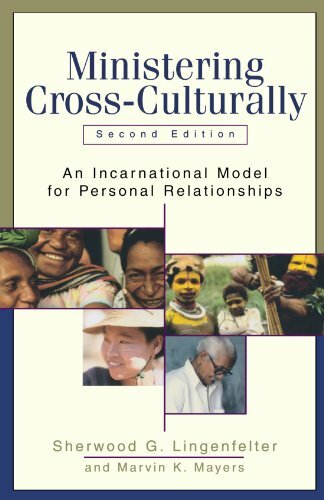 Some people believe that if they leave their cultural and language at home, this makes them more sensitive to the people they encounter. FALSE!! The internet and turbojets have made the world much smaller, and living in Ecuador as a North American, I was surprised how many questions I got about the US when I first moved here. Sharing your background and culture opens the door to make friends. For example, some friends of mine from the US lived for 3 months in China and made many friends through inviting people over to make pizza. When I first moved to Ecuador, I was not interested in teaching English, but as I became more and more aware of the need for English here, I became more interested in using my language background as a way to help people and meet a need that they have. Other North Americans living here make friends by sharing desserts from the US and their recipes. Food is a universal language that EVERYONE speaks. As I have traveled and live in Ecuador, people give their best through the food that they cook for me. I have heard stories from Ecuadorian friends here who have been offended by North Americans who did not want to eat what was served to them. Many times when we come from the 1st world, we have many preferences with foods from having so much choice at home. However, most countries that have lived a scarcity of food within the last three generations will teach their children to eat what they are served and do not understand the first world perspective of choice. I do not eat as much rice as the average Ecuadorian does. But, when I am invited to someone’s house, I will eat whatever is offered to me. This is a way to help the hosts feel comfortable and accepted as they offer friendship through sharing a meal. As stated above, our cultural backgrounds cause our lifestyles to differ. The more time I live in Ecuador, the more I understand the “whys” of the local culture and I listen more and try to avoid the phrase “where I am from we…” This has helped me have more understanding of the local culture and avoid sounding prideful. When we first moved here, I made more mistakes. For example, because we do not have hot running water, I heat water on the stove and rinse dishes with this water with bleach added. My Ecuadorian friends would stop by and would always want to help me wash dishes. I know that I offended some of them because I corrected their dishwashing methods, making them use the hot water and bleach to rinse, instead of letting them wash the way they did at home, with cold water and lots of soap. I learned that the relationships are more important than the dishes and now if I feel the need to rinse the dishes with hot water, I do it after they leave to avoid offense. It is much easier for me to share my heart in English with someone from my cultural background. However, I would be not be the person I am today, if it was not for my Ecuadorian friends and co-workers. I have learned so much from the Ecuadorian people that have given me their time. They have taught me to cook the local food, shop for the best local produce, get around town in taxis, how to keep house in a humid climate, and how to use fresh herbs and plants as medicine. When I have taught English in a local school, the other teachers have taught me about the differences in the education system and how to incorporate more of their methodology. Many friends have taught me how blessed I am. I have seen the hard places that they walk through with a smile and grace that I do not often possess. Living in another culture can be a challenge, but avoiding these mistakes will help you to learn as much as you can during your experience. All excellent points. Good, solid read. Thank you, for your comment and I am glad for the opinion of a writer of your distinction. Life experience is the best teacher. Your comment motivates me to keep writing!! The one aspect you noted here about not pointing out how things are done differently (reads as "better" to a native wherever you're visiting) Iis oerfect. It is so wrong to that, and is what gives Americans their bad, and apparently deserved, reputations (as "The Ugly Americans) abroad. I think there can me much goodness and joy to be found in embracing a local culture's foods and customs. It was the best part here. Yes, I agree and I know that I have made ALL of these mistakes in one form or other. I am sure that I have been seen as the "ugly american". It is hard not to compare when you are trying to make sense of life in another culture. 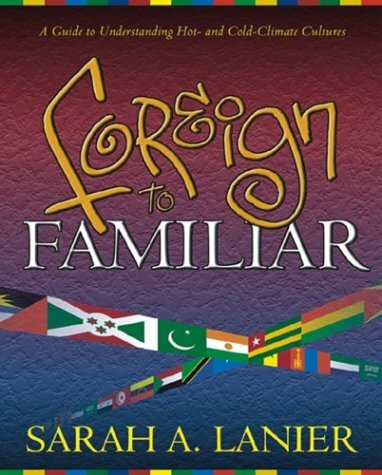 Sarah Lanier Foreign to Familiar: A Guide to Understanding Hot- and Cold- Climate Cultures. Hagerstown: McDougal Publishing Company, 2000.